A blockchain-based digital identity network that will let Canadians verify their identity to organisations of their choice and access services such as new bank accounts, driving licenses or utilities using a mobile app is now undergoing testing ahead of a planned launch later this year. The service is backed by a group of Canadian banks that includes BMO, CIBC, Desjardins, RBC, Scotiabank and TD. The network is being built by IBM and authentication specialist SecureKey utilising the IBM Blockchain service and is being designed to “make it easier for consumers to verify they are who they say they are in a privacy-enhanced, security-rich and efficient way”. “The network is currently in the testing phase in Canada and once it goes live later in 2017, Canadian consumers will be able to opt-in to the new blockchain-based service using a mobile app,” says IBM Canada. “Consumers — or network members — will be able to control what identifying information they share from trusted credentials to the organisations of their choice, for those organisations to quickly and efficiently validate the consumer’s identity and arrange new services. “To create a highly secure, global and enterprise-ready ecosystem for sharing identity requires both advanced federated identity technology and blockchain technology specifically designed for regulated industries,” the company adds. “Our goal for this partnership is to accelerate the pace at which we can develop a service to help consumers better manage, protect and control their digital assets and identity, and ultimately provide our customers with greater convenience and a better overall experience,” says BMO Bank of Montreal’s Andrew Irvine. “What IBM is building with SecureKey and members of the digital identity ecosystem in Canada — including major banks, telecom companies and government agencies — will help tackle the toughest challenges surrounding identity,” says Marie Wieck, general manager of IBM Blockchain. The banks collectively invested US$27m in SecureKey in October 2016 to further their efforts in the digital identity ecosystem. 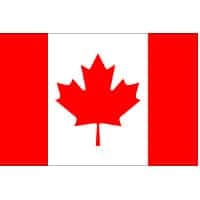 The Digital ID and Authentication Council of Canada (DIACC) and the Command Control and Interoperability Center for Advanced Data Analytics (CCICADA) have also provided funding to “bring the new approach to digital identity to market”.